Ultimate stopping power in an ultra-low dust, low noise ceramic compound! 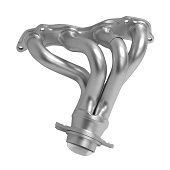 Hawk Performance has introduced a premium, high performance, ultra-low dust, low noise compound called Performance Ceramic. Performance Ceramic is engineered to reduce brake NVH (Noise, Vibration and Harshness), creating a quieter performing brake pad. Furthermore, the ceramic brake pad formula has a linear friction profile that allows your ABS brake system to work more effectively. With Performance Ceramic you can expect reduced brake pad wear, lower dust output levels and a rotor-friendly brake pad. 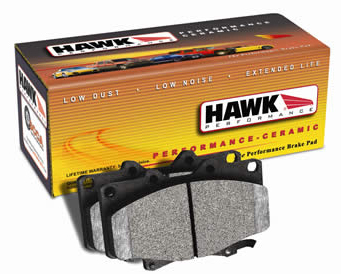 TECH TIP: Hawk Performance burnishes its Performance Ceramic brake pads as a final step in the factory, but all brake pads have to be bedded-in with the rotors (new or used) that they will be used against. Properly bedding-in new brake pads results in a transfer film being generated at the pad and rotor interface to maximize brake performance.